We have another plugin for those of you who can’t get enough of the Muzei live wallpaper, titled Comic Cover. 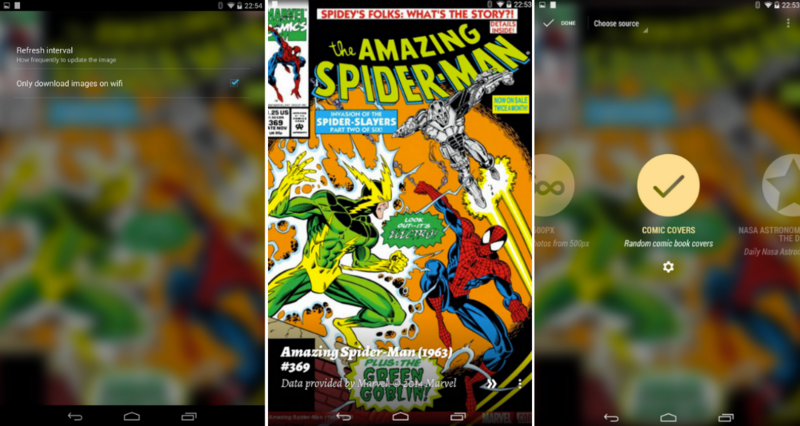 With this plugin, fans of comic books – mostly Marvel for now – can access countless comic book covers, then apply them to their homescreen. Unlike many of the other plugins, Comic Cover has a refresh interval, which is perfect for people like me who can get easily tired of looking at the same wallpaper all day long. What can I say, I like change. The plugin, much like Muzei itself, is completely free. Go check it out on Google Play.